That ain't Clark Kent, folks. DC Essentials is a line of 1:10 scale action figures based on DC characters with universal appeal, accessible to both longtime collectors and those just starting out, which delivers authentic detail from a company with two decades' experience creating high-quality action figures. 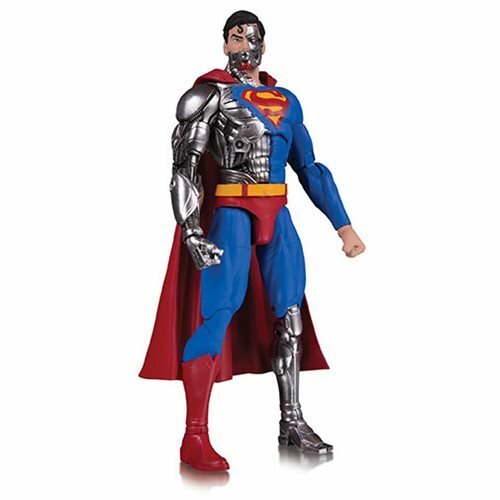 The DC Essentials Cyborg Superman Action Figure stands 6 4/5-inches tall.